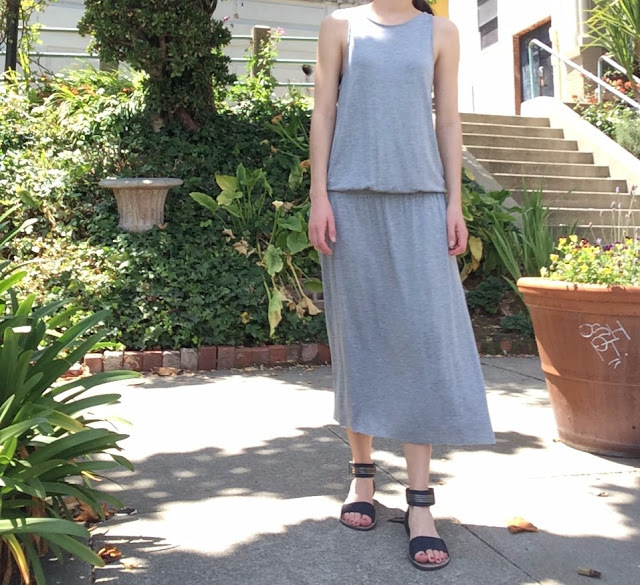 I wanted to do a quick review of this great Everlane summer dress. 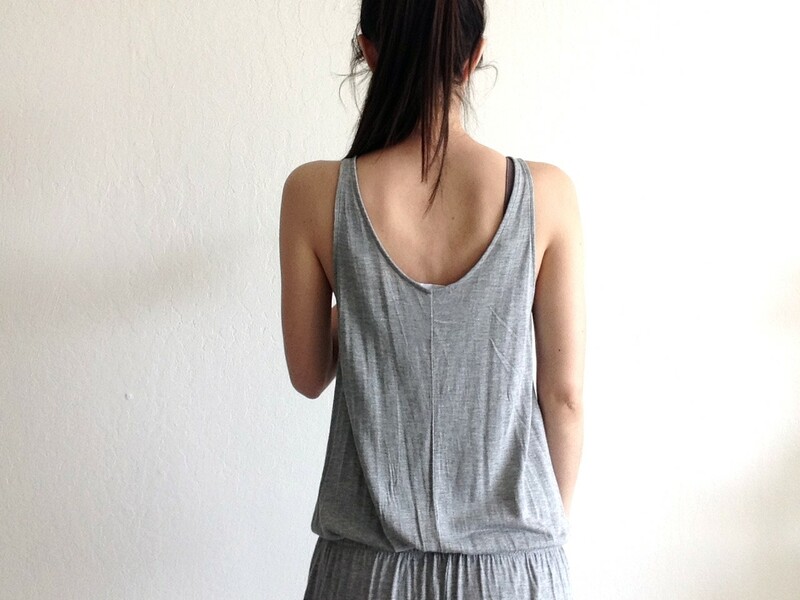 It has a bit of a Grecian vibe to it, and comes in two colors: Heather Grey, (the color below) and Sand. 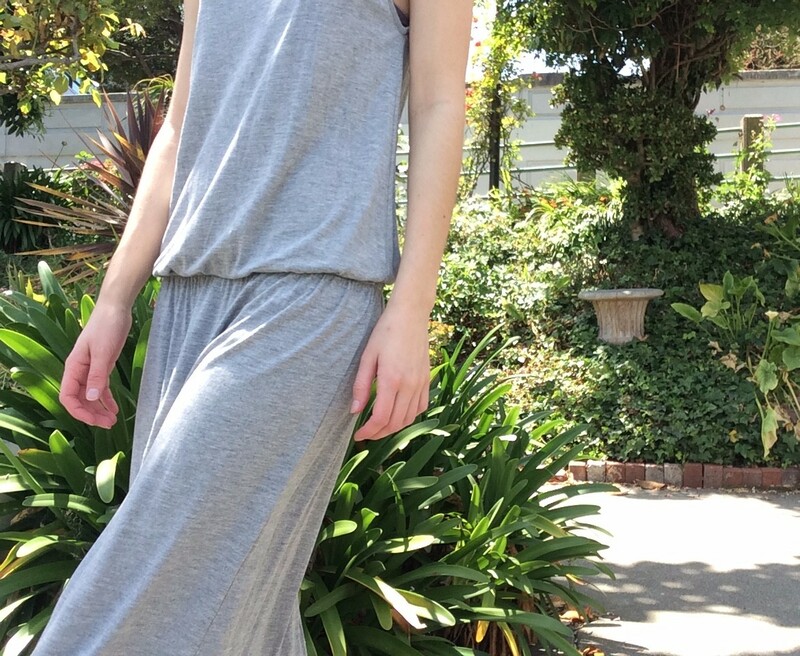 It is 100% rayon and feels more substantial than a jersey knit, which can be pretty unforgiving, but is still really soft and has a lot of movement when you walk. It says hand-wash only but I machine washed it and hung it up to dry and it seems to have survived. This dress is currently "Choose What you Pay", so you can get it for up to 30% off, here. The waist is elastic, which is comfortable and allows you to position it on your waist where'd you like the dress to hit. I do however, have a confession....I took a pair of scissors to the bottom of the dress and chopped off about 5 inches. It looked a little too sister-wife otherwise. It is ankle length on the model, and as she is a good 7 inches taller than me, the bottom had to go! 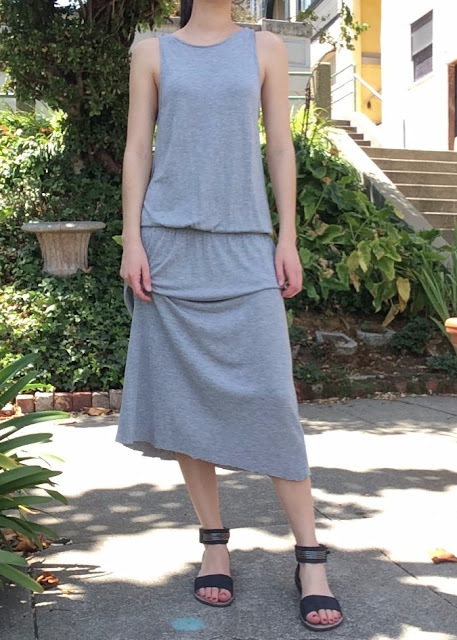 I have been meaning to hem it but haven't gotten a chance yet - you can see my jagged handiwork in the image below. Did I ruin the illusion? The boat neckline is very flattering and has a slight drape in the back. I was very pleased with this dress, and only wish it came in more colors!